The Stockton 6 Highline is available as a dedicated multi-fuel model with external riddling. This stove is similar to the standard Stockton 6 stove, but has the addition of a warming shelf and wood store and with larger base plate. The Highline stove is supplied with a 3-tile set for the warming shelf, in a choice of 8 colours. The stove will also accept the optional ‘clip-in’ steel boiler. This can provide an abundant supply of domestic hot water during the winter months. 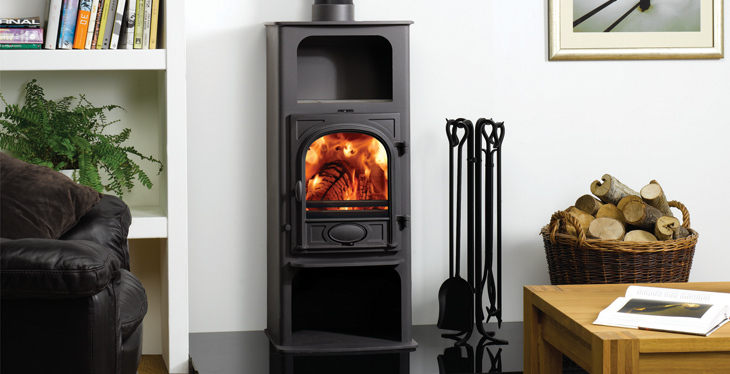 The Stockton 6 Highline stove is approved for use in Smoke Control areas.